Home ownership opens the doors to two different types of loans that non-home owners cannot access – mortgage loans and home equity loans. While these two loan agreements feature many similarities, they are very different. Home owners must compare the two to determine which loan makes more sense for their needs. In the mortgage vs. home equity loan comparison, both loans can provide value to homeowners. A first mortgage is a type of loan prospective home buyers take out to finance the purchase of a home. Home buyers cannot access a first mortgage for any other purpose. There are two primary types of mortgages – fixed and variable rate loans. The vast majority of loans in the United States are fixed rate mortgages. In a fixed rate mortgage, prospective home buyers work with mortgage lending institutions to determine down payment requirements and the interest rate of the loan. Average fixed rates vary, but, once a homeowner locks in a fixed rate, the rate remains the same throughout the loan period. Variable mortgage interest rates, on the other hand, change based on the current market. Homebuyers do not have control over how high or low the interest rate fluctuates on an annual basis. Over time, homeowners build equity as they pay down their mortgage and as the value of the home appreciates. Those with a high percentage of equity in their homes can choose to refinance their mortgages to gain access to additional funds. The initial interest rate chosen for a mortgage can impact how much equity a homeowner builds in a home and the value a lender approves for any type of equity-based loan. A mortgage-based loan known as a cash-out refinancing loan allows homeowners to refinance their homes’ current mortgages for higher amounts than owed in exchange for the difference in cash. The new mortgage terms include the additional amount, allowing the borrower to focus on one mortgage payment rather than a mortgage and an additional home equity loan payment. Homeowners most commonly choose a cash-out refinancing loan to pay for home renovations and education. Since borrowers will pay interest on the loan over the life of the mortgage, this type of loan works best for long-term, high value investments. Often described as a second mortgage, home equity loans allow homeowners to borrow against the equity they have in a home without impacting the first mortgage. Instead of taking out a personal loan or a line of credit, homeowners can use the equity they have in the home as collateral. For example, if your home is worth $150,000 and your current mortgage balance is $75,000, you have $75,000 in equity. A lender may not grant a full $75,000 amount as a home equity loan, but he or she may offer up to 80% or so of that amount. However, the higher the loan-to-value rate, the higher the interest rate. In general, home equity loan interest rates are lower than interest rates for other types of loans and credit products. Depending on the loan product, a home equity loan may offer fixed or variable rate terms of up to 20 years. Some homeowners may be able to deduct the taxes associated with the loan interest cost, making a home equity loan more tax advantageous than other loans. A homeowner can use a home equity loan at his or her discretion. Many homeowners use home equity loans to fund renovations, to finance education, or to make low risk investments. While financial planners often advise against using a home equity loan to finance “bad” debt such as credit card debt, some homeowners use home equity loans as a short-term strategy to avoid insolvency. 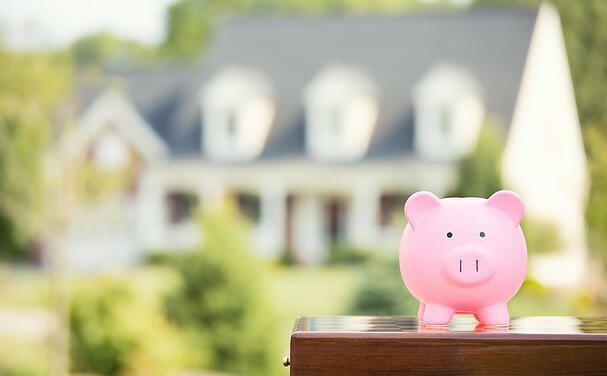 Savvy homeowners can shop around for the right home equity loan product to leverage a home’s value for increased short-term purchasing power. A homeowner can choose from several types of home equity loan products. After approval, traditional home equity loan recipients will receive a lump sum at one time and pay the loan back according to its predetermined terms. HELOCs, or home equity lines of credit, give homeowners more flexibility. Over a certain period, a homeowner can withdraw funds to use for any number of activities. The lender may specify terms for repayment after the withdrawal period ends. Mortgage vs. Home Equity Loan: Which Is Better? Home equity loans involve a slightly higher level of risk. In the event that a homeowner defaults on his or her home loans, the primary mortgage takes precedence over home equity loans. The amount earned during auction will go toward the cost of the mortgage before home equity lenders. Since home equity loans carry this form of risk, the qualifications for a home equity loan are often more stringent than the qualifications for a cash-out refinancing loan. Interest rates vary between mortgages and home equity loans. Generally, home equity loans carry higher interest rates than mortgage products. While this is often true, homeowners should closely check the interest rates for both products. Since rates fluctuate, one may offer better terms than another. At certain times, lower mortgage rates may make refinancing the more attractive option. HELOCs are the most flexible loans. For projects that involve expected costs and long term ownership plans, a mortgage refinancing loan may work best. If, however, you need the money for multiple projects or unexpected costs, a revolving line of credit may provide more flexibility for your needs. Mortgage loan holders have access to interest-based tax deductions. Mortgage holders can deduct the interest paid on their mortgage from their taxes. Only home equity line product holders can deduct interest costs. Look at the terms of your loan to see of it qualifies for tax deductions. A mortgage loan can create unnecessary home ownership costs. A home equity loan will not change the terms of your mortgage, but a mortgage refinancing loan will. If you strike the wrong deal with a mortgage lender, you could pay more in interest over the life of the loan than necessary. A home equity loan, on the other hand, often involves lower closing costs and only includes interest on the borrowed amount. Run the numbers to compare the long-term outlook for both types of loans before choosing one over the other. In the mortgage vs. home equity loan comparison, homeowners must consider the costs and benefits of both types of products. Shop around, plan your repayment strategy, and consider the market. Since interest rates for both types of loans can vary, a few months may make a significant difference in the loan rates you can secure. Use this information to compare and contrast individual loan terms and find the mortgage or home equity loan product that’s right for you.